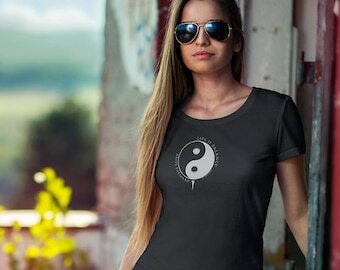 Life is Balance® is a line of apparel, jewelry, home decor and fine art prints and greeting cards that celebrate the various sports and activities that balance our lives. We've recently added some new products to our wearable art: scarves and tote bags! Each one of our inspirational "Balance" necklaces and bracelets is individually designed, hand strung and unique! If you have a special request, please let us know and we'll try to make it happen. The latest addition to our shop includes home decor items such as throw pillows, fine art prints and canvas wrap wall art that shop owner, Sheryl Checkman, creates from her original art and photography. Additionally, she can create made to order photo montages and custom pillows from customer-supplied photos to commemorate a special event or milestone. Please convo any special requests. It looks great on my fiance!! Thank you!! I am sorry for taking so long on reviewing this beautiful shirt. It is a good quality shirt, fabric is soft and looks like it will last a long time. I purchased a shirt on November 13, they sent the wrong shirt. No big deal, it happens. They said they would send me another one. It's now January 16th and after much back and forth, a "lost package" and an invalid tracking number I still have not received a replacement. Happy Easter and Happy Passover! It's that time of year when we all have to have a little Faith! Is is #golf season yet? T-shirts, Scarves and accessories, Fine Art Prints and greeting cards, Home Decor and Jewelry that Celebrate Balance! Skiing? I love it. Swimming? Can’t get me out of the water. Scuba diving? A fanatic. Yoga, bike riding, photography…these are other hobbies that make me smile. For work, I’m a graphic designer. I started my design business in 1992, after leaving my position as Vice President, Manager of Design Services, at Burson-Marsteller, a global Public Relations agency headquartered in New York City. But, I’m not just a designer. I’m also an avid sportswoman. All the activities I do—work and play—together make me who I am. They create a balance. One day, I had an idea for a design that represented the scuba diver in me. I was looking at the simple symmetry of a yin yang symbol and I saw a scuba design. In Chinese philosophy, yin and yang (heaven and earth) represent two opposing yet complementary forces, or energies, that are said to be found in nature. One cannot exist without the other. They create balance. In each curved half of the symbol, I saw the shape of a fish… really! I added a diagonal white stripe representing the universal symbol for a dive flag, and my first Life is Balance® design was born! After showing my design to a few of my diving friends, and getting some pretty awesome feedback, I decided to extend the concept to all of the different sports and activities that make people feel good. I later expanded my line to include jewelry and fine art photography – inspired by my interest in yoga and love for nature and the sea. Life is Balance® is branded line apparel and inspirational jewelry designed to celebrate the balance we add to our lives through sports and activities that make us smile. Because that's what life is all about, isn't it? I’m a graphic designer. I run a successful design business, Sheryl Checkman Design specializing in branding (both print & web) for companies both large & small. I recently started designing t-shirts and jewelry to express my own personal creativity. Provides full photographic printing services from both digital and non-digital originals. The photographic process is a Kodak RA-4 chemical process, similar to traditional film development. Laser light is used to develop the continuous-tone image onto silver halide paper. 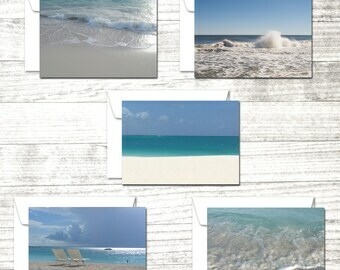 Circle Graphics prints my photographs & digital art on canvas wraps in their 347,000 sq. ft. facility. They have large format printers, custom automated finishing equipment and coating capabilities. With a patented construction process, they also manufacture their own ink and canvas. Colorado Timberline has a 120,000 sq. ft world class printing and decoration facility. They use only the latest equipment and supplies and provide exceptional quality control. Each product is manufactured to meet or exceed all U.S. and International safety standards. MWW is an on-demand custom printing facility. They provide state of the art printing of man-made and natural fiber textiles for both indoor and outdoor use. Their digital printing operation provides printed fabrics as well as cut and sewn finished products. Welcome to Life is Balance®, apparel and jewelry that celebrates the various sports and activities that balance our lives. Our inspirational "Balance" necklaces and bracelets are individually designed, hand strung and unique! If you have a special request, please let us know and we'll try to make it happen. Are you a scuba diver? A gymnast? Practice yoga or martial arts? Like to run or bike? How about swimming or sailing? Surfing or kayaking? We have a t-shirt that will speak to just about anyone, from the avid golfer or tennis player to the ski or snowboard fanatic. We've got a shirt for you and just about anyone on your gift list. And if you don't see your sport or hobby here, please visit http://www.lifeisbalance.com for our complete line. We want you to be completely satisfied with your purchase, but in the event that you would like to return or exchange an item for a different size or color, please contact us either by email or by phone: 212-570-2259. We will send you a return form, which should be filled out and mailed back to us (along with the unwashed, unworn product) within 14 days of the shipping date. We suggest you send send the returned shipment by a trackable carrier. We will refund your purchase price and any taxes paid, but we are not able to refund shipping fees. Refunds and exchanges will take 14 days to process. We accept Paypal as well as Amex, MasterCard, Visa & Discover. Sales tax is charged for purchases in New York. We will do our best to ship within 2-3 business days of purchase, sometimes sooner. If for some reason, that is not possible, we will notify you of any delay. We ship via USPS First Class Mail. However, if you would like expedited shipping, we can also ship via Priority Mail & Priority Mail International or Fed-ex for an additional cost. Just send us a convo requesting expediting and we will quote you a cost. We sell wholesale to verified businesses and retailers. You must supply a valid State Resale License or Federal EIN as well as your full business name. Please click on the link below to apply. If you are interested in a custom order or to co-brand your company or team with our t-shirts, please contact me on the Request Custom Order link and I will get back to you with a quote. • Service providers. I engage certain trusted third parties to perform functions and provide services to my shop, such as delivery companies and printers. I will share your personal information with these third parties, but only to the extent necessary to perform these services. c/o Sheryl Checkman Design LLC.